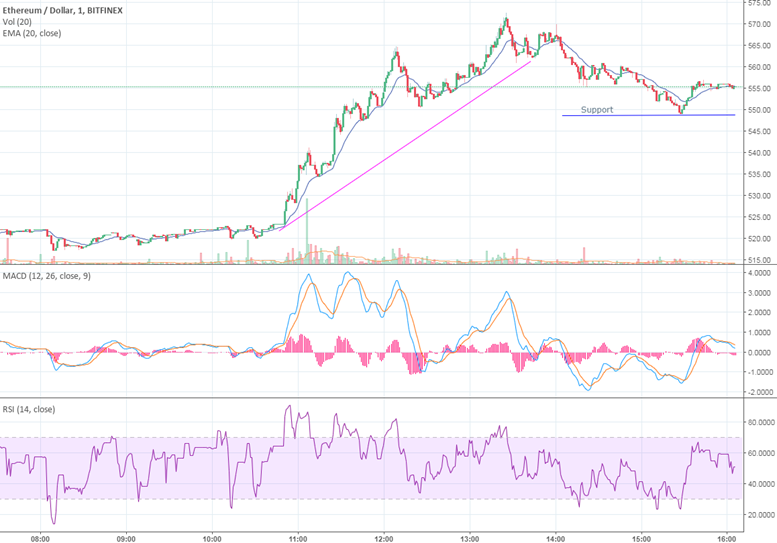 Ethereum price has bounced back above $550, holding down a key support at that price level. Earlier in the day, ETH/USD formed two bullish trend lines, the latter of which tested a resistance level at $575. ETH/USD had a reversal from its latest bearish run at the $550 support. 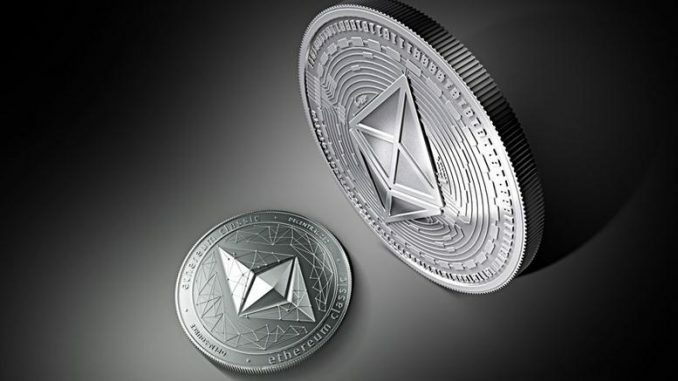 On Tuesday morning, Ethereum price recovered from its recent low of $505, returning above the $550 price point and holding firm support at that level. ETH/USD formed two bullish trend lines earlier this morning, which took Ethereum price to as high as $575. Although a bearish trend line was later formed, a reversal at the support sent Ethereum price back to $555 and approaching $560. Looking at the latest price movements, a run at $560 is highly possible as indicated by the candlestick patterns and moving averages. On the downside, a break below $550 may take ETH/USD further down to the $520 level that initiated the two bullish trend lines. From the technicals chart, the MACD line is currently showing a bearish signal, while the RSI indicator puts Ethereum in neither overbought or oversold territory. Trading volume has also subsided in recent hours. Previous articleIs Crypto in a Bubble? Next articleRipple News | Will XRP Skyrocket or Plunge Later This Year?